A vision come to life! Thank you for taking the time to visit us. We are proud of this new long-awaited venture and are excited to share it with our local community and beyond. Born from a dedication to our childrens' growing passion for baseball, our love for sport, and for simply being together with our families, this new facility is an extension of our homes. We simply wanted a place for our children to expand their knowledge of the mechanics of hitting, throwing, and catching. A place they can bring their friends and their teams to play, grow in skill, and hone a commitment to baseball & softball in a professional enviromnemt. M3 is a colaboration of efforts. We bring elite level coaching experience and a passion for training through our collective backgrounds in professional sports including baseball, softball, CrossFit and boxing. Our primary focus for M3 is to build a top quality facility offering the latest equipment, technology, coaching knowledge, and athletic development opportunity, right in our own backyards. M3 founders, all local Milton residents, have diverse background that create a synergy of Muscle, Memory & Mechanics. 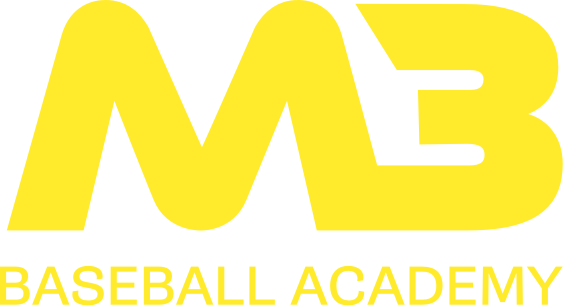 Neil Teague (neil@m3baseballacademy.com) grew up in Milton immersed in Softball and Baseball. He is a decorated coach and former athlete, achieving multiple National, International & Provincial Softball titles and accolades both as a coach and a player. He is a proud Team Canada alumni and most recently was inducted into to the Ontario Softball Summit SPO Hall of Fame Class of 2017. Neil's extensive knowlege of baseball and softball not only stems from his 40+ years as a player and coach, but also from his former career as National Brand and Promotions Manager for Combat Sports Group - Baseball and Softball Products Division. Neil is currently the coach of the Milton Bats U10 softball team. George Savard (george@m3baseballacademy.com) brings his business-building experience to M3 following the decade+ long development of Reebok CrossFit FirePower, a world-renowned training facility based in Milton, Ontario. A former CFL offensive lineman for the Ottawa Roughriders and now a current 18 year veteran with Toronto Fire Services. An an Olympic-lifting specialist with extensive coaching experience, George brings an athletic development angle to M3 focusing on strength, conditioning, and mobility. We are honoured to share our journey with you.